Diabetes is the most common diseases after AIDS globally and it’s the root cause for other substantial disorders. Our Digestive system breaks down carbohydrates, sugar & starch into Glucose with the help of an enzyme called insulin which is secreted by the pancreas. The Glucose then enters the bloodstream and powers various cells in our body which helps in functioning of various processes that are required for survival. Diabetes occurs when the pancreas isn’t able to generate sufficient insulin or when the body isn’t receptive enough to use the insulin effectively which leaves us with two types of Diabetes. This is an instance of auto-immune condition where the body’s immune system destroys the cells that release insulin, resulting in elimination of the insulin which is generated by the pancreas. Thus without the required amount of insulin, the cells in the body cannot assimilate the glucose leaving them powerless and therefore the cells in our body cannot function the way they should. This type of diabetes is found in 5-10 out of a 100 people who are suffering from diabetes. Type 2 diabetes consists of two factors that are “Insulin resistance “& “insufficient secretion of insulin “. Insulin resistance is a condition where in which the body’s muscle, fat, and liver cells do not use insulin effectively and the glucose isn’t absorbed by the cells. On the contrary, insufficient secretion of insulin leads to high levels of blood sugar. Type 2 diabetes is often seen in adults who are obese but it’s also creeping into youth because of a unhealthy lifestyle consisting of various factors. Despite the breakthrough advancements in the healthcare, Scientists haven’t been able to formulate a complete cure for diabetes but there are steps and methods through which it can be controlled and monitored so that it shouldn’t hinder the daily regimes of humans. Exercise Regularly: physical activities such as running, swimming, aerobics & exercise helps the blood sugar to be in a moderate state and it helps the hormone insulin absorb glucose into all your body’s cells, including your muscles, for energy. Maintaining a proper Diet: The first step of maintaining a proper diet is to “ Not Skip Breakfast “ and have a high intake of fibre’s and proteins over fats and carbs comparatively . Drink healthy drinks like water or milk and switching to milk that is low in fat or fat-free. Avoid drinking high-sugary drinks like soda and cola. 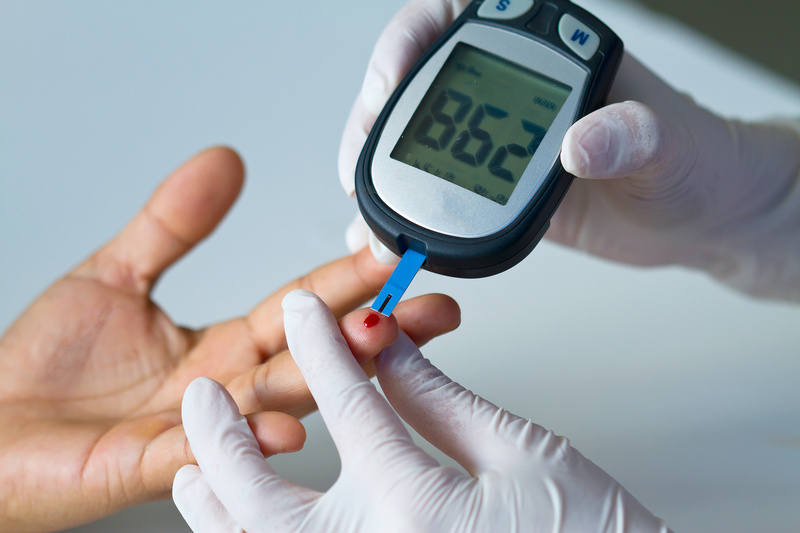 Monitoring Blood sugar levels: People diagnosed with diabetes should often keep a check on their blood sugar levels before and after meals so that they can choose what and what not to eat. Due to the tremendous leap in science and tech , Inexpensive and accurate devices are available to the public so that they don’t need any additional help to check their blood sugar levels . Visit your Doctor on a regular basis: Consulting your doctor and updating him with your progress can help you tackle diabetes effectively as observed in some cases, medicines can be switched with exercises and a revamped dietary plan suggested by your doctor. Wondering How to Lose Weight Post Pregnancy?